Can the Quran be God's Word when it omits God's Word? If the Quran is the Word of God, where are the Torah, Psalms, and Gospels? If the Quran is the Word of God, then why doesn’t it contain earlier portions of God’s Word? Previous prophets built upon what God had revealed to earlier generations. Proof of this is that can be seen that the Bible, the Word of God, consists of many books by earlier prophets. Jews and Christians both read in their Bibles what Moses wrote. Muslims don’t. Muslims are only left with what Muhammad said about Moses. Christians and Jews share the Hebrew Scriptures. 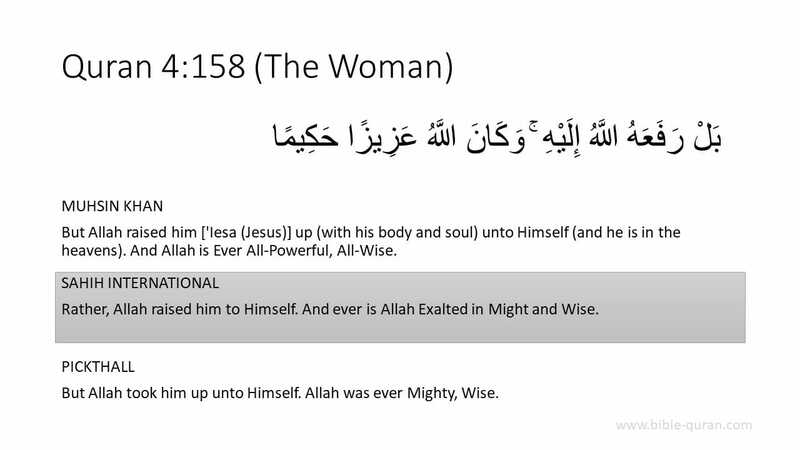 Islam is unlike Christianity and Judaism because it has omitted earlier revelation of the Word of God from the Quran. This means Muhammad was unlike previous prophets. Muhammad was unlike Jesus Who taught that he did not come to abolish the Law or the Prophets (Matthew 5:17-18). Question: Is it permissible to use the stories of the prophets in the Gospels and in the Torah and other Israeli scriptures? According to this explanation, the purposes of the Jewish and Christian Scriptures have ended. The Quran is more valuable. The Quran is the “true account” which implies his belief that the Jewish and Christian Scriptures have been corrupted. If Muslims took the time to love God with all their mind, they would learn that the Quran is not the “true account” (Matthew 22:36-37). 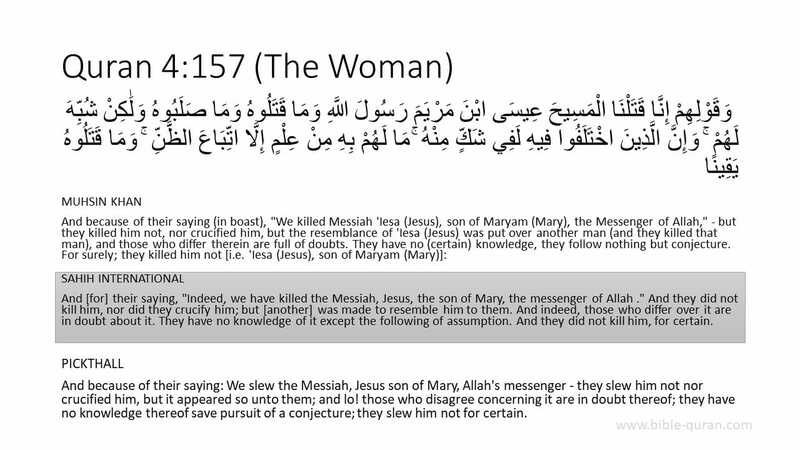 This is most clearly seen in the Quran’s rejection rejection of Jesus’ death on the cross (Quran 4:157–158).